Please go to this new website for all content from 2016 onwards. This Newtown electorate candidates forum was held on 13/03/2015 featuring (L to R) Karl Schubert (CDP), Penny Sharpe (ALP), Michael Walsh (AJP), Jenny Leong (Greens), Noel McFarlace (ACP). Rachael Wheldall (Liberal) was invited but not able to attend due to a directive of the Liberal party. The Biggest Edition of the Village Voice yet! Hello Resident. This is our 3rd edition of the Village Voice, the Friends of Erskineville's quarterly newsletter. And hasn't it been a big few months. There's been so much going on and there's so much coming up that we should jump straight into it. There will be plenty of fun for all ages and giveaways to help fill your picnic basket. On the day the first 50 subscribers will be eligible to collect a selection of vouchers which can be redeemed for cheese, biscuits, fruit, drinks, coffee and more from local businesses in the village. The Deli Erskineville, Shaun Stoker Ray White Real Estate Erskineville, The Floral Decorator, Erskineville Newsagency, The Fruit Village, Bakerman, Friendly Grocer, Erskineville Fish & Chips. 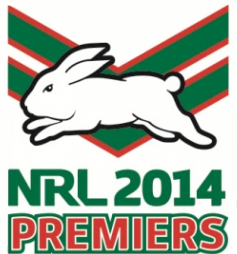 Congratulations to the South Sydney Rabbitohs in bringing home the cup after 43 long years. A mighty victory. 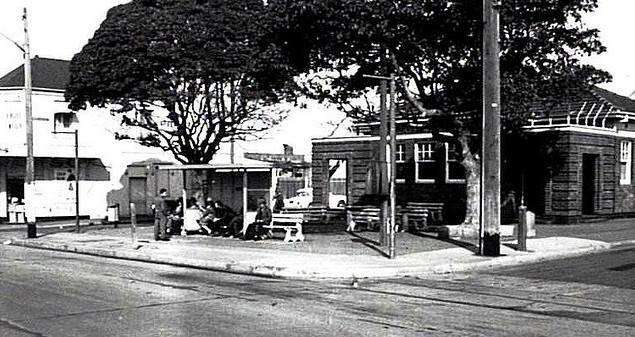 "How we worked and played"
Take another stroll through time as the Erskineville Branch of the ALP hosts its third heritage walk. Led by local historian, Dr Craig Wilcox, and Erskineville ALP branch president (and former South Sydney Councillor) Sean Macken, the walk will delve into Erskineville's working and sporting past. If you have a story to share you can get in touch with Sean here. The walk will begin at the Mrs Isabella Hill Rest Area on Harold Street, Newtown (halfway down Union Street) at 10:30am. A group will be marshalling at the community picnic beforehand at 10:15am. Be a part of the Delicious Revolution during Fair Food Week. 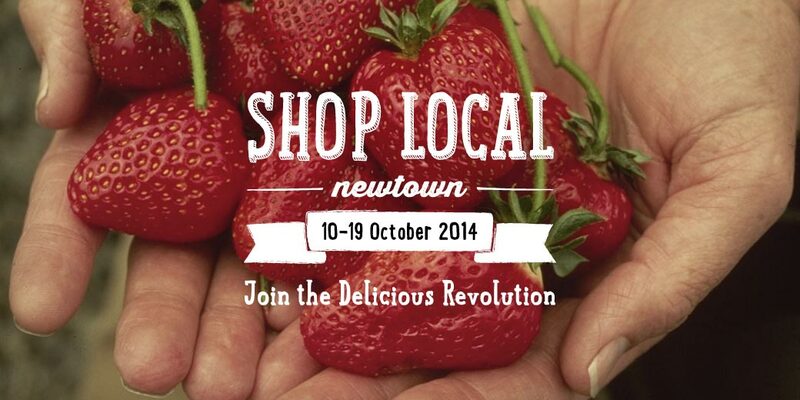 Join Events, Community & DIY Activities in and around Newtown between 10-19 October 2014. Shop Local & Eat Happily. Every Saturday at 8:00am, Parkrun is held in Sydney Park. Parkrun is a volunteer organised, free, timed 5km weekly fun run event. You can register onlinehere and print out your own barcode to get your time emailed automatically. Parkrun welcome all types, young or old, fast or slow, and is a great way to get fit and meet other local residents. The run starts next to the chimneys and usually attracts over 200 people. Young at Heart Culture Club is a monthly event for over 55s, held at the gorgeous Erskineville Town Hall in Sydney's Inner West. Each month features exclusive daytime screening and/or talk or workshop. It’s the perfect hub for seniors community to chat about movies and the arts over tea and biscuits! Young at Heart Culture Club is run by the non-profit team behind Young at Heart - Australia’s Seniors Film Festival with the support of the City of Sydney. Home is where the heart is for best friends Davy and Ally. Returning to Leith, in Edinburgh, the lads kindle romances old and new: Ally plans to propose to Davy’s sister Liz, while Davy falls head-over-heels in love with Yvonne. Meanwhile, Davy's parents Rab and Jean are busy planning their 25th wedding anniversary. Everything’s going swimmingly, until a revelation from Rab’s past threatens to tear the family apart. SUNSHINE ON LEITH is a jubilant, heartfelt musical about the power of home, the hearth, family and love. Adapted from the acclaimed stage musical by Stephen Greenhorn it features the euphoric music of The Proclaimers. Complimentary tea and biscuits; coffee, bottled water will be available for gold coin donation. 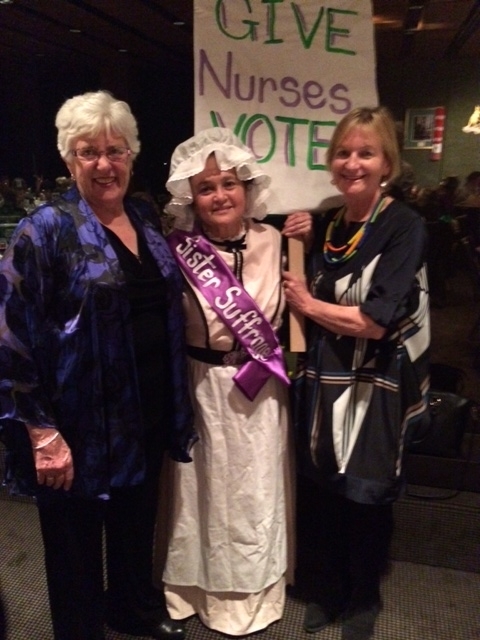 The theme of the Ernies this year was the struggle of suffragettes for equal voting rights. Councillor Lucille McKenna, Mayor of Ashfield, Holly Rebeiro & Sue Dean, both of Erskineville were proud to represent nurse suffragettes whose names often didn't make it into the history books. If you haven't yet renewed your Annual Membership Subscription for 2014/2015, you still can. Renewing and joining members pay $20 for ordinary membership and $2 for seniors/pensioner membership. FOE is a non-profit organisation dedicated to promoting the interests of Erskineville and its residents. Membership fees assist in FOE carrying on our advocacy work for the community. This bumper edition of the Village Voice was made possible because of the contributions of local residents. We'd love to hear what you have to say too. You can contribute to the next edition of the Village Voice by submitting here. Despite significant local opposition, the NSW Government has changed the voting for future City of Sydney elections. From 2016, any person or business owning, leasing or occupying land in the city will be made to vote, even if they are not residents. Under the changes, corporations will be granted two votes, while residents will only get one. 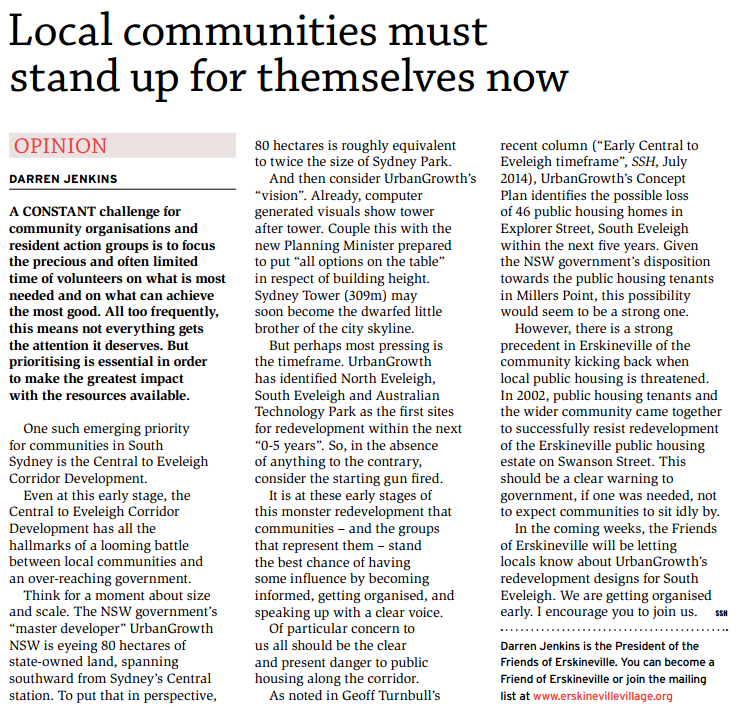 The Friends of Erskineville opposed these changes, and together with other community groups and local residents, sent an open letter to the Premier calling on the government to reject the changes. The Premier rejected these calls. We believe it is now more important than ever to speak up and ensure that local voices are heard on the issues that matter to our community. At the request of many residents in Malcolm, Ashmore and Binning Streets, FOE facilitated petitions and letters to Sydney Council advocating for the introduction of parking controls. Over coming weeks, Council will consult further with local residents with a view to implementing resident permit parking. If you would like FOE to help you raise a petition in your street to introduce parking permit parking, send us an email. Specialist Young Women's Homelessness Service still Fights for Survival! 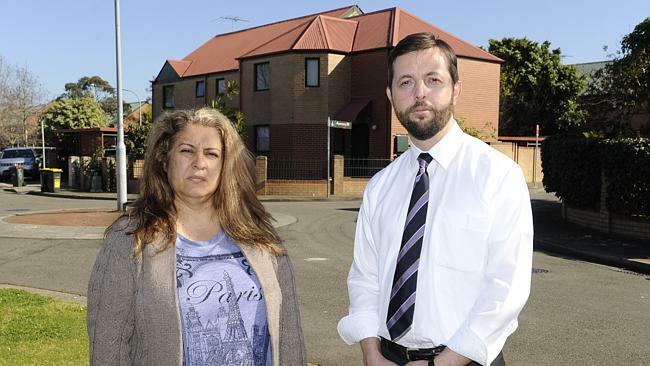 After 26 years of providing refuge for young women aged 14-18, the Lillian Howell Housing Project in Erskineville (also known as Lillian's) which lost its funding early in the year is still fighting to stay open. Like many women's refuges, it was not successful in achieving funding through the LNP government's new program 'Going Home Staying Home'. Lillian's is run along feminist principles and was designed and built for the purpose of serving as a secure refuge. It provides long term housing for up to 8 young women at a time. There is 24 hour support and a safe environment for young women who have suffered abuse and neglect. It supports them in completing their education, gaining employment and into independent living. It is the only refuge of its kind in NSW. Local resident Lin Cooper who worked at the refuge for many years and some recent residents spoke powerfully in defence Lillian's on ABC 7.30. 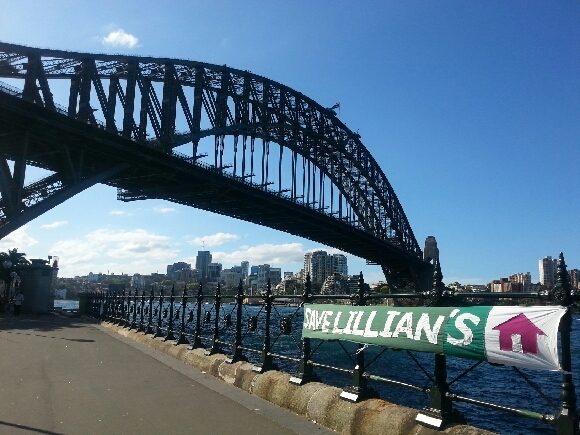 Chair of the Lillian's Board, Sally Fitzpatrick told the Friends of Erskineville, "The loss of such a service in the Sydney area will have a devastating effect, particularly on the girls currently housed in our program, as they could potentially be placed at risk if their holistic support network of housing, case management and counselling is taken away. It is imperative that our service remains open in the long term as our service is the only one of its kind in the region." Although the service is due to close at the end of October, the group's supporters still believe they can save it. They have made spectacular banners and have a petition. You can sign ithere. Lillian's is supported by the the NoShelter! collective which meets each Wednesday evening at the Newtown Neighbourhood Centre. The collective organised a community rally in late August and is planning further actions. The group is open to anyone interested in campaigning against gendered violence. State candidates for the seat of Newtown, Penny Sharpe (Labor, who is also currently the Shadow Transport Minister) and Jenny Leong (Greens) both support the campaign to save women's refuges, including Lillian's. A petition of 14,000 signatures was presented to Labor and Greens parliamentarians on the steps of parliament in early August. The petition will ensure that there is a parliamentary debate about refuge closures, the transfer of successful refuges to big charities and sacking of specialist workers later in the year. 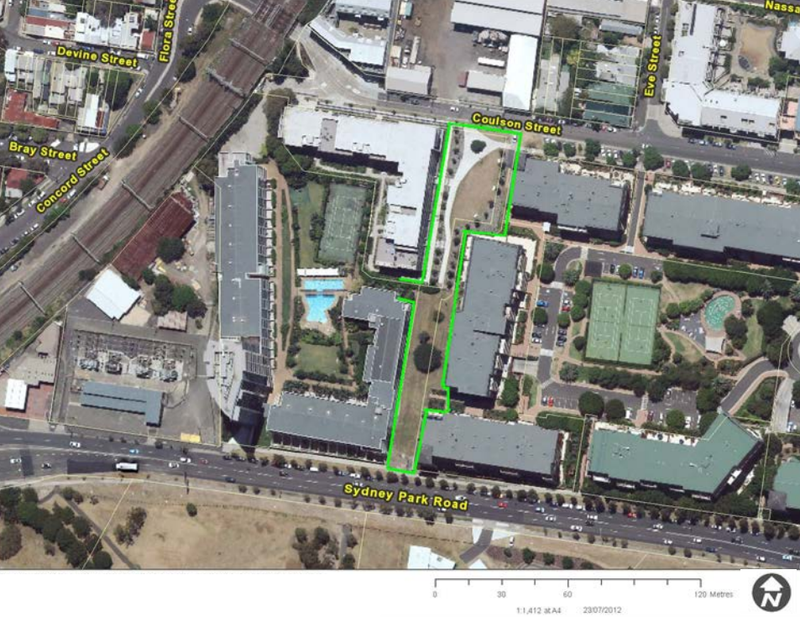 Bamal Way is a new way to get from Coulson Street to Sydney Park Road without walking around to Mitchell Road. Previously this public land between Sydney Park Village and the Verve & Xenix complexes had been fenced off and inaccessible. With new landscaping, stairs and a ramp leading up to the footpath on Sydney Park Rd, this will make access to Sydney Park and St Peters station more direct for many residents. However, there remains a serious problem with crossing Sydney Park Road. Council has responded to residents' feedback by suggesting a tunnel or a pedestrian crossing, but no action has yet been taken to progress these. Westconnex - Coming to a suburb near you? Drilling for soil and rock samples at more than 12 sites around St Peters, Sydenham and Tempe will begin within the next two weeks according to Westconnex Chief Executive Dennis Cliche. Mr Cliche says the purpose of the drilling is for preparation for the tender for the construction of Phase 2 of Westconnex. Local residents have expressed concerns about where polluting exhaust stacks would be located. 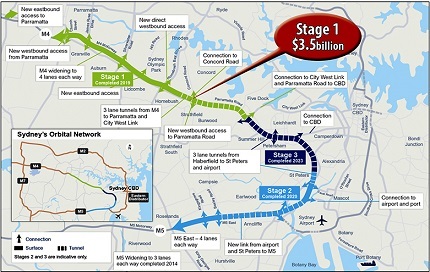 But why do we need Westconnex at all? Per capita kilometres driven have fallen back to the levels of 20 years ago. The total amount of kilometres driven in Sydney have risen less than one per cent in the last decade. This means that Sydney’s traffic would actually have fallen dramatically if not for a 10 per cent population increase during that same time. No community consultation has been conducted and planning has been ad hoc and minimal. What Sydney needs is better planning, an integrated transport system with public transport - including both heavy and light rail - to take traffic off the roads. Motorbikes and Scooters on Footpaths? 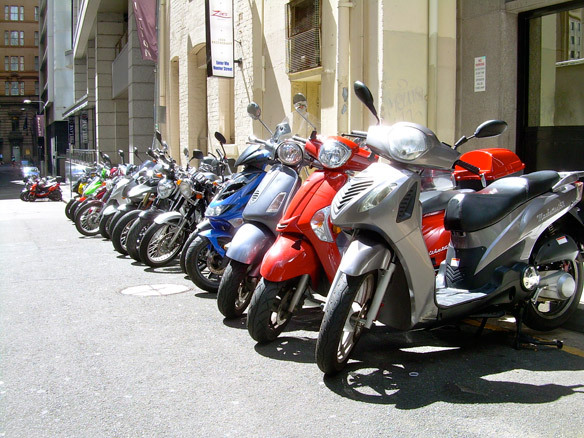 What do you think about the recent suggestion that motorbikes and scooters be permitted to park on the footpath? Send us an email with your thoughts. 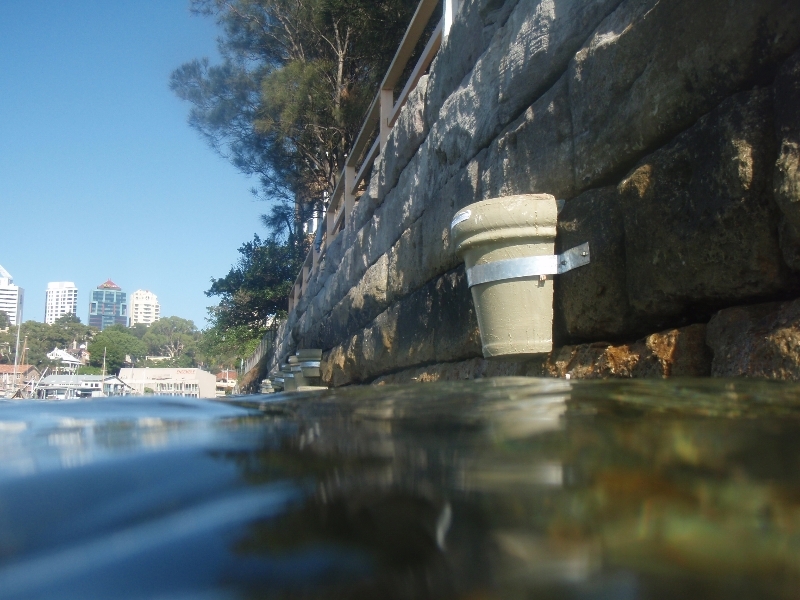 Researchers from the University of Sydney, in collaboration with the City of Sydney Council, are attaching modified flowerpots to seawalls in Sydney Harbour as new homes for marine life. Researchers are asking the community about their connections with Sydney Harbour and the coastal environment and would like to invite the community to be part of the study. 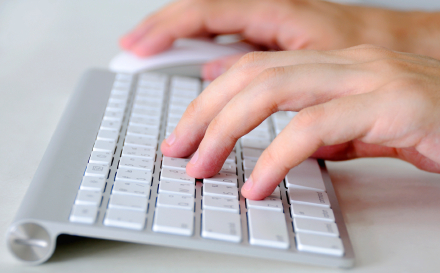 Interested residents can complete the researchers' surveyhere. 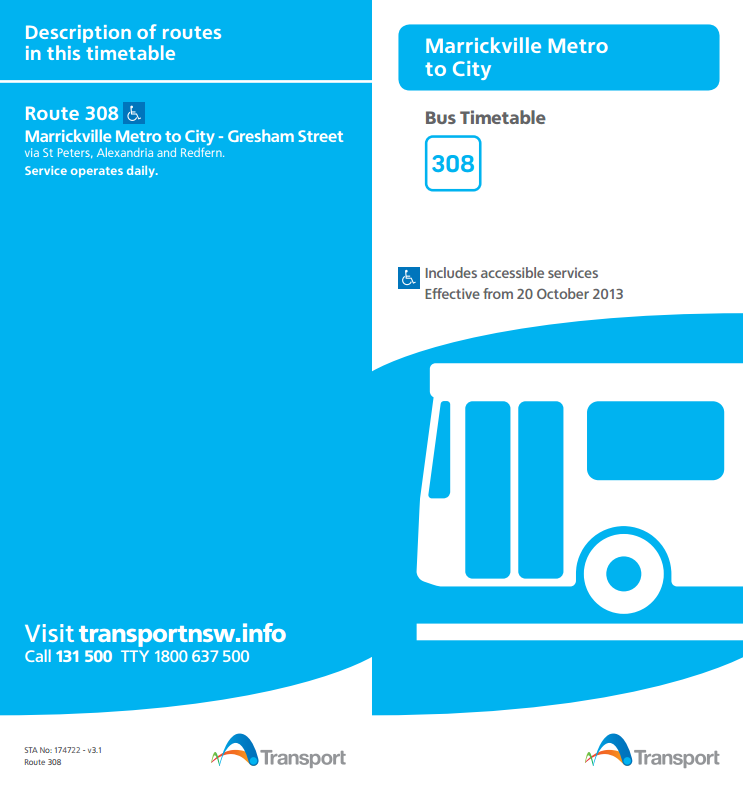 This may be old news to some, but the 308 Bus that operates between Marrickville Metro and the City via Mitchell Road now has extended hours and increased frequency. Weekdays 6:30am to 10:30am, Saturdays 8:00am to 10:30pm, Sundays & Public Holidays 8:00am to 6:00pm. Frequency is about half-hourly at most times, more frequent in peak periods. See timetable. This is a welcome increase, however, congestion on our trains is still severe and our campaign continues for better services in Erskineville. On 18 September 2014, the Planning for People Community Charter Coalition launched a Charter for better planning in NSW. The Charter is available for download here and individuals and groups can endorse the charter in the lead up to the March 2016 State election. Labor and the Greens have both endorsed the Charter. As debate rages on the Abbott Governments prospects of changing Australia’s Renewable Energy Target (RET), citizens and renewable energy enterprises are campaigning vigorously for its retention and even expansion. Whether it is UN Secretary-General Ban Ki-moon, President Obama, actor Leonardo DiCaprio or the million Australian and global citizens who were in the streets and parks on 21 September the sensible message is clear: we have to persist with tackling climate change- it is urgent. There are government policy frameworks to retain and enhance, but there is also the challenge that households, clubs and businesses can take up by getting on with doing something. With gas prices escalating for both households and businesses now and even more in years to come the carbon tax will pale in comparison with what is on the way. Two of the most active groups in Australia advocating persistence on policy and doing it are Solar Citizen and Beyond Zero Emissions. 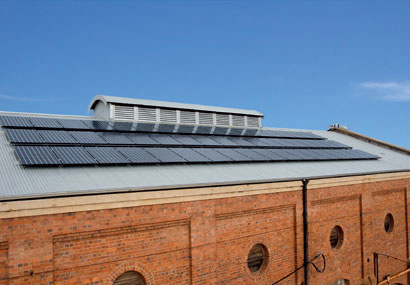 There has been continued growth in household solar take-up across Australia. The Solar Citizens' website provides further facts on this and gives a real sense of a growing momentum:www.solarcitizens.org.au. Come along one and all—Erskineville village are hosting a community picnic! Join us in the park and meet, eat and chat with your neighbours—there'll be fun for the kids too. Local shops in the village will have supplies on the day to supplement your picnic basket. Sign up now for the Friends of Erskineville's Village Voice newsletter; vouchers for free giveaways will be available to subscribers. What increases will be made to public transport capacity to ensure residents can get on a train at Erskineville, given that Sydney Trains reporting data indicates that train loads at Erskineville reach 161% capacity during the morning peak, and considering the former Minister for Planning and Infrastructure's media release on 28 March 2012 which stated that he would work with the Minister for Transport to increase public transport capacity as new residents moved into the Ashmore Precinct Development? Mike Baird says Sydney’s 80,000 businesses should get 2 votes each at the next City of Sydney election. The Premier wants Sydney to go the way of Melbourne. Last election, 70,000 residents voted. If 80,000 businesses have up to 2 votes each that could mean 160,000 / 70,000 next time around. Implementing the Melbourne Model would mean giving the vote to non-citizens, people not on the electoral roll, and people living outside-NSW. Businesses could ‘spring up’ to distort the vote. What’s more, there has been no community consultation and theNSW Parliament’s Joint Standing Committee’s recommendations have come after a slap-dash approach. We are sending an open letter to the Premier to tell him it’s not right. Also, please forward this on to anyone you think would like to lend their support. We anticipate the legislation will be introduced tomorrow (Thursday, 14 August 2014) so we need to act quickly. Please reply as soon as possible.